The skipping steps and dancing ribbons of a festival day dress these pretty knobs. Every line is detailed by hand which gives each knob its very own personality. 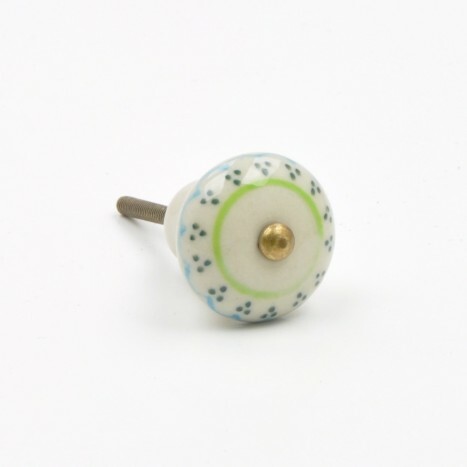 Tags: painted ceramic indian knob, hand painted knob, pretty ceramic knobs, detailed painted cupboard knobs, cute country pulls, decorative ceramic dresser pulls, hand detailed knobs, indian ceramic knobs and pulls.